The world can be a dangerous place. 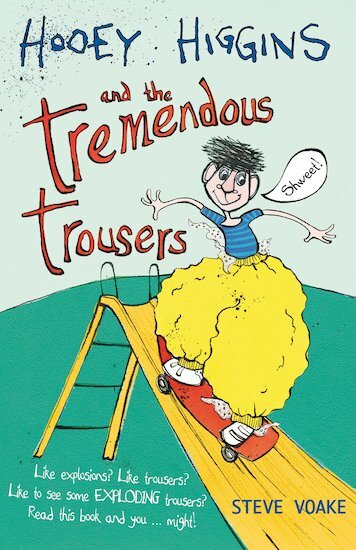 So what Hooey Higgins really needs is a pair of super-protective trousers which will keep him safe from crocodiles, flying toffee-apples and log-flume malfunctions! In the little town of Shrimpton-on-Sea, Hooey, Will and Twig are busy working on their genius health and safety invention. But will the all-new super TremTroo trousers turn out to be a lifesaver?